Screamer Magazine was founded in Los Angeles, California in 1987 by David F. Castagno, Publisher/Editor. The publication’s concept was to cover the local L.A. music scene with the respect they deserved. Giving unsigned bands a professional quality publication in which to be featured was Castagno’s primary goal. The magazine was met with instant praise and success and soon became “the” source for L.A.’s metal scene and it wasn’t long before the biggest bands in the genre were featured interviews. 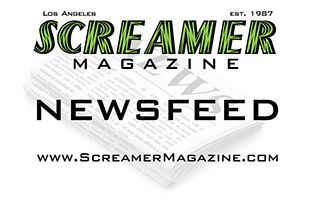 In 1992 Screamer Magazine took the quantum leap from being a local Southern California publication to becoming a national magazine, further expanding its reach and influence. However, with the explosion of grunge rock and metal sales beginning to wane, Screamer Magazine published its final print issue in March of 1994. With the rebirth of 80s metal popularity and digital technology, Screamer Magazine lives on for a whole new generation of fans. 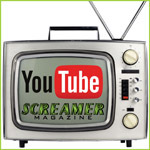 In addition to “vintage” magazine downloads, Screamer Magazine now features interviews, reviews and news on bands from today and yesterday. You can now purchase digital downloads of your favorite issues and read them whenever you want. The high-resolution images allow you to zoom in and view the finest print with the utmost clarity. We’re certain you will enjoy this glimpse into L.A.’s vibrant and exciting music scene of the 80s.